Smart Caffeine Review – Energized Relaxation or Relaxed Energy? Both! Occasionally, I dabble in the “dumb caffeine”: Coffee. Espresso… Actually, really just coffee for me. 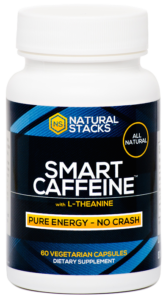 But as every nootropic geek knows, the best way to caffeinate is the smart way: with L-Theanine–one of the best nootropic compounds in the nootropic game. By taking the yin yang approach to cognition, mixing caffeine’s energizing stimulation with theanine’s calming relaxation, Smart Caffeine sets itself up as one of the easiest, cheapest, most reliable supplements for quick nootropic boosts on focus. But we’re supposed to have higher standards than “cheap and easy”, right? Wrong. Let’s read the Smart Caffeine review. Conclusion: Does Smart Caffeine Work? 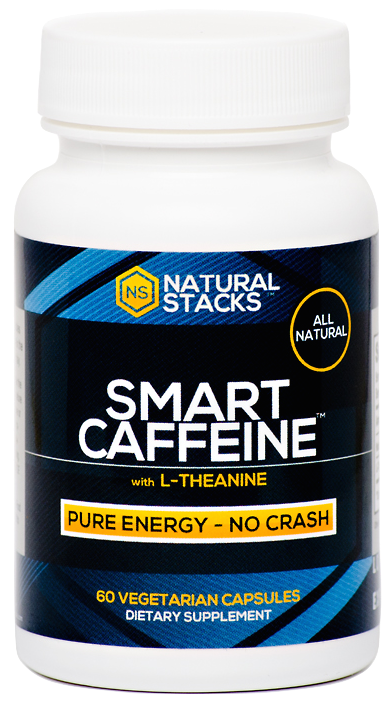 Brought to us by Natural Stacks, Smart Caffeine is a 1-2 combo of Caffeine and L-Theanine, a simple, classic nootropic stack. The Game Plan: Caffeine stimulates the energy and focus, theanine smooths out the edges with calming alpha brainwave promotion. Smart Caffeine is not a cure-all nootropic stack, especially for caffeine sensitive users, but it is a great starting point and cheap enough to add to your current nootropic stack. Directions: Take a serving of 1-2 capsules whenever focused energy is desired. Avoid use in the evening. Do not take more than 6 capsules per day. With only 2 ingredients on the list, this will be one of my quicker reviews. Maybe if I finish this piece early I’ll have enough time tonight to ruin today’s nootropic boosts at the bars?? Natural Caffeine (from coffee beans) – 100 milligrams of trimethylxanthine, the world’s favorite mentally stimulating alkaloid drug (sourced from coffee beans). L-Theanine – Relaxing amino acid commonly associated with green tea, a smart addition to caffeine for its slow alpha brainwave promotion, effectively nullifying the jitters of caffeine while maintaining the drug’s benefits on focus and energy. More on L-Theanine. In the growing DIY nootropic community, the L-Theanine + Caffeine is essentially ground zero, the simplest starting place for nootropic beginners to get into the DIY practice of mixing and matching nootropics. At least that’s my story: The early hours of the Nootropic Geek consisting of trials-and-errors of finding the right L-Theanine:Caffeine ratio via powder stacking while experimenting with the slightly more advanced combo of Citicoline + Piracetam. Of course, for the uninitiated the idea of mixing L-Theanine + Caffeine–simple nutrient compounds naturally found in a cup of tea–sounds pretty, well… lame. Are these the Limitless nootropics everyone’s been talking about? 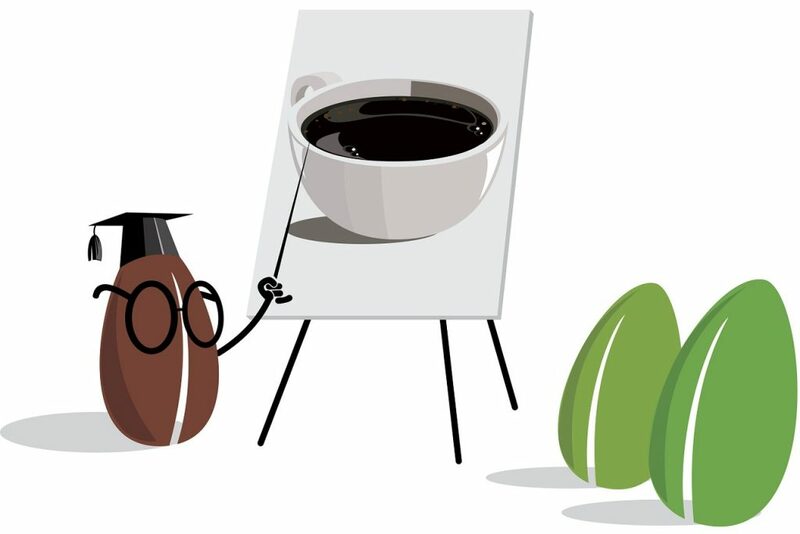 Smart Caffeine accepts only the most qualified coffee beans. However, done right, the combo can be surprisingly effective at getting users “in the zone”–whether the task is writing an essay or working out. And Smart Caffeine gets the combo right by mixing a 2:1 ratio of L-Theanine (200 mg) to Caffeine (100 mg). Natural sources of this duo (i.e. tea) don’t have this ratio, or their composition is too varied and in too small amounts to really have a significant cognitive effect. As such, Smart Caffeine is valuable to both nootropic beginners and veterans looking for cheap, clean caffeinated focus that may be stacked with plenty of other standalone ingredients. Smart Caffeine provides a consistent 2:1 ratio of L-theanine to caffeine, the right mix to improve calm, creative, wakeful focus. Smart Caffeine fits a vegan formula in vegan capsule pills for an overall clean design. 33 cents per pill is reasonable for these two common ingredients. Caffeine and L-theanine won’t fulfill all of your nootropic wants and wishes. May still provide overwhelming energy to the caffeine sensitive. Caffeine tolerance may become an issue if consumed reugularly. May require moderate usage to salvage Smart Caffeine’s effects for the long-run. Lots of people do. Lots of people don’t. Really, it comes down to whether or not you want caffeine in your nootropic regimen. Otherwise I don’t hear of many people who don’t use L-theanine as it provides a one-size-fits-all variety of brain healthy cognitive benefits. Smart Caffeine users can buy directly through Natural Solutions website as well as a number of online retailers, including Amazon and Lucky Vitamin. Additionally, Nootroo provides Smart Caffeine in its racetam-laden stack. Yes. Caffeine is the world’s favorite drug for obvious reasons. And while it lacks the sophistication of more advanced nootropic drugs, its barbarity is lessened by the “smart” addition of L-theanine, which (in my most humble opinion) should be a default addition to any manufactured nootropic supplement. Granted, Smart Caffeine isn’t the only brand supplement to deliver this duo, but it is exceptionally cheap at no charge to the product’s value. If you’ve a caffeine fan looking for a cleaner caffeinated experience, definitely give Smart Caffeine a try.